Last weekend we visited this venue for the first time with two friends. This is a charming old private hotel with charming proprietors, family & staff. The room we slept in was refurbed with new carpet & furniture & extremely clean. Crisp white bed linen & lovely white towels changed daily too. Had four brilliant nights sleep as it was so comfortable & peaceful. We were allocated seats for dining for the weekend which was a good plan. The home cooked food, served piping hot, was just delicious, especially the soups - just like Mother used to make. There were guest entertainers each evening, all very talented then a different jazz band each night. The bands were all well known & very popular indeed. Gilbert, Julie & all their smiley staff will go the extra mile to keep you happy & wanting for nothing. What a professional team who know how to please. The whole experience was the best at a reasonable price too. We arrived as strangers & left feeling we had new friends. "Another great night of jazz"
Another great evening recently performing at The talbot hotel jazz weekend in Southport. I perform all over the country from hotels, bars to theatres and there is a not a warmer, friendlier place to play than the talbot. Great atmosphere and a lovely homely feel. Gilbert & Julie are the perfect hosts and its the only gig i play where i eat first, great home cooking. Staff are brilliant and the acts i support phoenominal! Looking forward to coming back next year to support the Chris Barber Big band & Syd Lawrence Orchestra. Myself and my now wife Rebecca used this hotel for our wedding reception on the 10th September 2016, the service we received was second to none, 1st class food, the room was set out just as we had requested and more. The owner Gilbert and Ryan could not do enough to make our day go without a hitch. My husband and I have just returned from a wonderful Jazz 3 night break at the Talbot. From the minute we made the booking, arriving at the hotel it was a welcoming experience. Gilbert, Julie and ALL the staff were so pleasant and helpful, the food was lovely and nothing was too much trouble. The service in the dining room was equal if not better than many 4* hotels. All the staff well trained and permanently had smiles on their faces. The entertainment was remarkable The Guest entertainers were so good and different each night. The Jazz Bands were excellent, all so different and each excelled in their own ways. It was the best jazz we have heard for such a long time, together with excellent company. My wife and I visited the Talbot Hotel in June and also September for their fabulous jazz weekends. The welcome was as genuine and friendly as it always is. The June weekend included the Jazz Cafe Society Charleston Band on Friday, Keith Nichols and His Back to the 20s Band on Saturday, and the Pasadena Roof Orchestra on Sunday. This was a fantastic 20s themed weekend with outstanding performances from some exceptionally talented musicians. The September weekend included The High Society Jazz Band featuring Enrico Tomasso on Friday, Digby Fairweather's Half Dozen on Saturday, and the fabulous Georgina Jackson Tribute to the Jazz Divas on Sunday. Once again some excellent performances from extremely talented people, especially Georgina who has an exceptional voice and was very well received by the audience. I recommend these Jazz weekends to all lovers of first class jazz and swing music. I don't know how Julie manages to keep getting such top class acts to play at their hotel, but we really appreciate the work put in to arranging these weekends. Our thanks go once again to Gilbert, Julie, and their fantastic staff for the extremely tasty food presented to us over the weekend, and for the friendly and efficient way it was served by all the staff. It certainly is five star service. We would have no hesitation in recommending the Talbot Hotel for anyone who appreciates friendly, comfortable, and outstanding service. The hotel was very clean and tidy with a fully stocked bar and food was perfect everyday with a great selection and great taste. The entertainment provided was excellent for all concerned and although some of our party are naval veterans and unable to dance, the ones that could were able to were up dancing, as the entertainment catered for all. 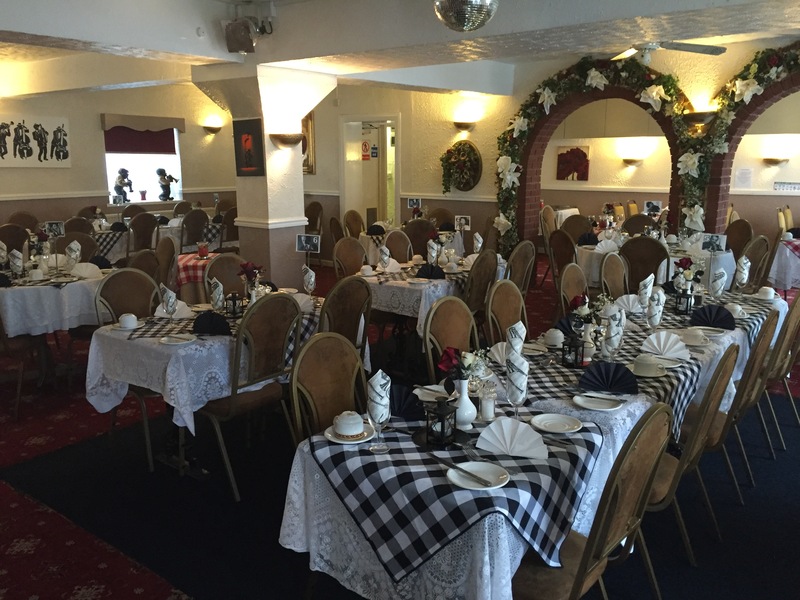 We had a Gala dinner on the Saturday night and on entering the dining area, it looked fabulous as the room was decorated with red white and blue flags and even the staff were wearing matching waistcoats and ties, it really put everyone in the mood and by the end of the evening the flags had been used by all. The weather was great whilst we were there so we were very lucky and what was great was the front veranda/balcony with seating which was a great place to meet and some of the party sat outside having sandwiches and a drink. I would highly recommend this hotel to anyone, as Gilbert and his staff were so caring and helpful at a level that you do not see very often. If I could rate higher for customer service, I would, as the customer service was the best I have seen for a long while. You will not be disappointed, we will return as we all had such a fantastic weekend and I would personally like to take this opportunity to thank Gilbert, Julie and the fantastic staff as you all made our weekend so enjoyable and we hope to see you all soon, thank you all so much. Our first visit to Southport, staying at the Talbot Hotel 25th-27th Sept 2015 for a Naval veterans reunion. Had a wonderful stay, very comfortable, friendly, clean, great food, the hospitality of the hotel manager & staff was fantastic and surpassed our expectations. Fun entertainment. Would definitely recommend & love to return to. Thank you Gilbert & staff for making the Duke of York Naval Associations weekend stay so enjoyable. In early July, I travelled down to Southport from the Midlands with 2 friends after booking in to spend the night at The Talbot. This was to include evening meal, breakfast, entertainment and accommodation for 3 for one night. Well, with regards to entertainment, Julie and Gilbert's hotel regularly hosts some of the biggest names in the pre and current Jazz worlds. After hosting names such as Kenny Ball and Acker Bilk, and with up and coming bands such as members of the Jools Holland Orchestra playing there at the end of this year...it's a hotel not to be missed for Jazz enthusiasts. As a huge Trad. Jazz Fan, we were ecstatic to have the opportunity to hear, on this occasion, The Dutch College Swing Band (probably THE most famous and long-standing Trad. Jazz band in the world) play a fantastic set. We were shown to our table and we we're really pleased to be sat with a couple who we had sat with at a previous event. The band play in an intimate environment meaning you can soak up the music and the atmosphere - normally ducking from the trombone. As you can see above, we even got the chance to meet and have a chat with them in the bar...it is evident that these huge stars love this hotel as much as the enthusiastic guests since, as a few of the band members said on the evening, they are used to playing infront of 1000's of audience members, at the Talbot, around a 100. The band were astonishing and at the grand old age of 19, I was enthralled and so grateful for a wonderful opportunity to hear a group of my idols. With regards to the food, I'm not sure how it is possible to slate it? We were greeted once again by a piping-hot 3 course meal of meat and vegetables etc., a lucious soup starter and tasty dessert...what more can people want? 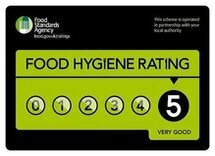 The food is also very good quality so please don't let some of the "poorer" reviews put you off. We booked the trip fairly last minute as we were quite busy and couldn't confirm our stay until the week of the event but G and J were more than happy and accommodationg with us. As we were only staying one night, we opted for the 3 of us to stay in one room. The room was clean and friendly (just whwat you'd expect from a seaside hotel) with an en-suite etc. Comfortable beds and zero noise from outside etc. made for a peaceful sleep. Finally, and by no means least, the staff, headed by the fantastic team of Gilbert and Julie, makes for unforgetable stay. Each time I am bowled over by the staff and their willingness to accomodate your needs in any way possible. It is clear that they love what they're doing and that shows and makes you feel right at home. I recently visited Southport for the weekend to attend a wedding and chose to stay at The Talbot. I cannot sing the owner's praises highly enough,being met with such a warm welcome started my weekend off in the right way. I stayed in a twin room with ensuite shower room. The room was clean and comfy,there were tea facilities and a tv. I had 2 brilliant nights of sleep and felt extremely relaxed. The breakfast was nice and the waiting staff were super friendly,nothing was too much trouble for them. I will be making sure I book in again for my next trip to Southport and will be taking my children too as I know we will all be made to feel extremely welcome by the lovely owners and staff. Thanks to the wonderful Gilbert Petrie and his staff at the Talbot hotel for a sensational Burns Night evening. As always the room was decorated to the highest standard and the food was splendid. Gilbert really goes the extra mile and has everything organised to the last detail. This is the second Burns Night the Talbot has hosted for us and the reputation of the hotel and the quality of the evening is so good that demand for tickets is high. Thanks to all - and look forward to seeing you again next year. We have just got back from our stay at the Talbot Hotel in Southport, what a lovely place it is. We were greeted by a lovely young man named Ryan and we couldn't thank him enough for his caring and much appreciated help. He carried our bags to our room which was very well equipped and comfortable. Dinner was very good and the servers were very polite and friendly. Gilbert the owner was also very friendly and accommodating. We were there to see The Roy Orbison story but the star of our trip had to be Ryan he deserves ten stars , hope we get to see him again. 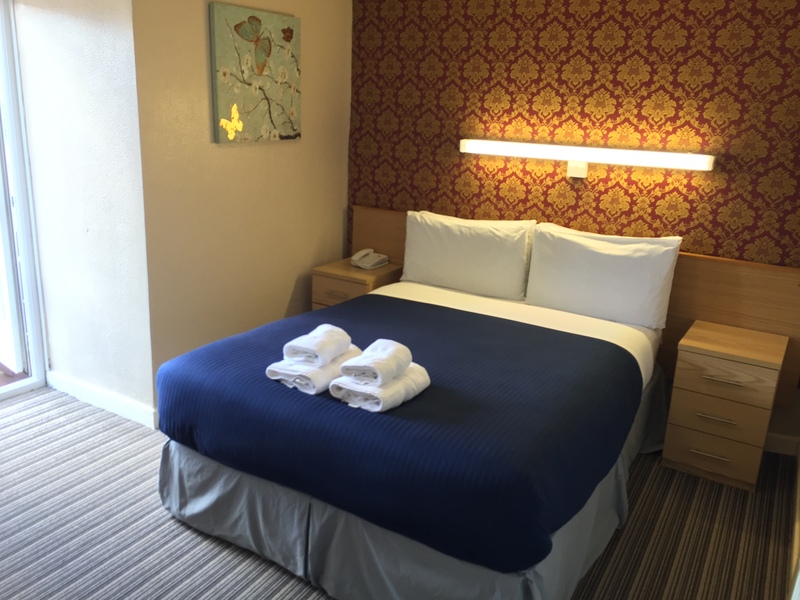 "All members of staff are fantastic"
"We are hoping go back very soon"
We visit many hotels over the country, and this one will stand out as a very happy well run one. Nothing was too much trouble for the staff of this family run hotel. The food was very good and beautifully presented. We are hoping go back very soon. "Gilbert and all his staff went above and beyond"
Thanks once again to Gilbert and all of the very attentive staff. The Warrington Visually Impaired People's Centre had a wonderful meal and entertainment yesterday and will definitely be back.